Interview with Drew Mello at WQCS NPR for the Treasure Coast — Coastal Biology, Inc.
Today we did our first interview to promote Coastal Biology and our turtle walks this summer. 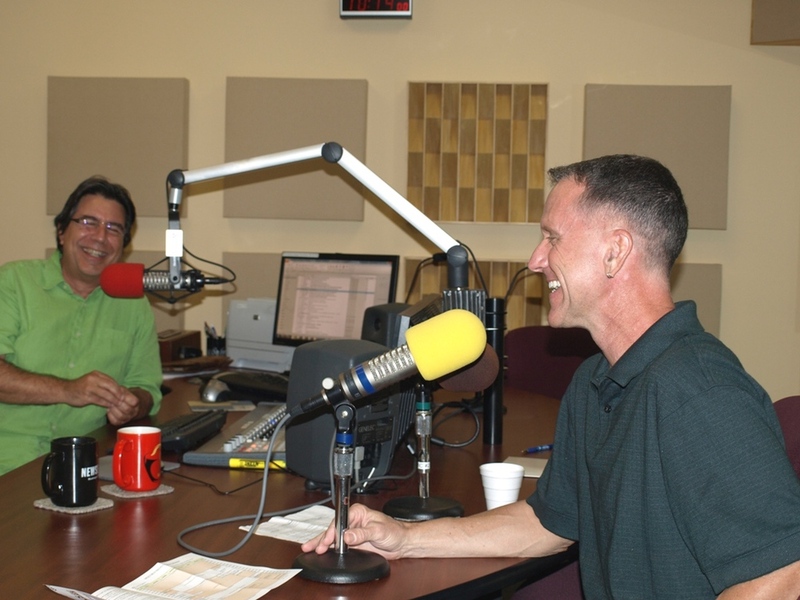 Rick met Drew Mello at the WQCS studio in Fort Pierce to record a segment for Treasure Coast Happenings. Drew was very accommodating and a gracious host. We took a lot of time talking about sea turtles and he gave me a tour of the studio. The segment will air on Friday, May 16 at 1 pm and 7 pm on the regular channel (HD1) and on Saturday, May 17 at 12 pm and again on Sunday, May 18 at 8 am on the HD2 channel.